INSPIRE your club!! Come to NCPETS to learn how! REGISTRATION for the 2019 North Central President-Elect Training Seminar (NCPETS) is now open! Details about the AGENDA and MORE RESOURCES can be found on the NCPETS website. The early bird deadline for registration is January 21, 2019. After completing your registration, please be sure to reserve your hotel accommodations at Gateway Hotel and Conference Center or Radisson Hotel Ames Conference Center at ISU for a discounted rate. These two young women have been chosen to plan and lead our 2019 RYLA Conference July 14-19, 2019 at Grinnell College. Melat is a student at George Washington University, Washington DC and Quinlan is a student at Minnesota State University, Mankato. We are excited about our upcoming task and are looking forward to a great conference. I am currently looking for Rotarian Volunteers to assist during the week of RYLA. We are planning for 240 students that will be placed into 20 teams. Each team will have a Team Leader and a Rotarian Volunteer to lead 12-14 high school students and perform activities to build leadership skills. The days are long but the reward is great knowing you will make a difference in the lives of young Rylarians. I have been a Rotarian volunteer for six years and look forward to helping with RYLA each year. 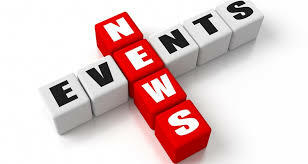 Rotarian training will be held at Grinnell on June 15. To learn more about RYLA, visit the website at http://www.iowaryla.org/, check out the resources, and fill out your Rotary Volunteer application to apply. I would like to have 20 Rotarians identified by the end of the year so we can determine how many teams we can have. If you have any questions, please e-mail me at babcock@iowatelecom.net or give me a call at 641-257-9915. Please leave a message if I don’t answer. If you know of someone who would be interested in helping, please forward this to them. We will accommodate individuals that have physical restrictions. We are interested in your wisdom and experience as Rotarians that believe in Service Above Self and want to “Be the Inspiration” in 2019.
daily volunteer activities ranging from cleaning up the school grounds, local parks, and roadside ditches. playing BINGO at two local care facilities in town. They planned a weather pick-me-up by providing a "Soupy Weather? Soupy Supper!" for the Pocahontas community. The Interact Club partnered with the Pocahontas Area Community High School Art Department. Teacher, Bill Strack, threw 50 bowls and with the assistance of his art students, provided colorful bowls for those who bought tickets for the supper. Each bowl was taken home by the satisfied supporter of this Interact Club. Tickets were priced at $10.00 and the Interact Club made $700.00. They will split the proceeds among the following agencies: Congregate Meals of Pocahontas, Upper Des Moines Opportunity, and Meals from the Heartland. "Read More" to see photos. Eight northern Iowa Rotary clubs are part of an international project to provide clean water access to 46 communities in Haiti. The Marion-East Cedar Rapids, Algona, Mason City, Humboldt, Mason-City River Sunrise, Garner, Bancroft Area and Cedar Valley Rotary Clubs and Rotary District 5970 contributed more than $56,000 to the estimated $722,000 cost of the project. 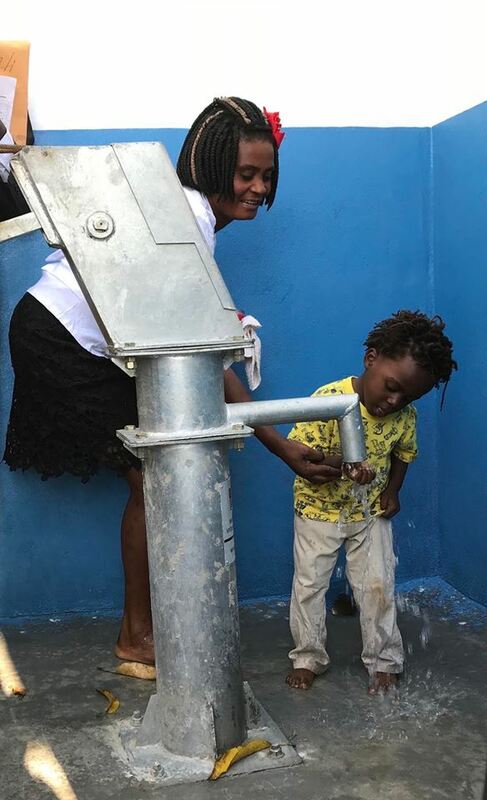 A Global Grant from Rotary International plus contributions from Haiti Outreach and Rotary clubs in Haiti, Iowa, Minnesota, Texas, Pennsylvania, Illinois and Tennessee support the Rotary Pignon Sustainable Clean Water Access Project. 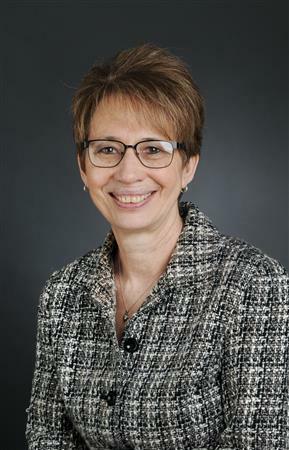 “This is what Rotary is all about, changing lives and doing good in the world,” said District 5970 District Rotary Foundation Committee Chair Michelle Bell of Marion. Bell and eight other Rotarians from Iowa, Minnesota and Illinois traveled to Pignon in November 2017 to built relationships with Haitian Rotarians, Haiti Outreach leadership and government representatives. This past December, the project reached its first milestone with five well dedications/inaugurations. In all, the project will build 19 new community-managed wells and rehabilitate 27 dysfunctional wells over a two-year period. A community management program for sustainability is part of each well installation. In addition, all 46 communities will receive sanitation and hygiene education as well as a latrine for every household. Bell said 90 percent of residents of the commune of Pignon will have access to potable water within 500 meters of their homes. “This is history in the making,” Bell said of the Rotary project, noting that Pignon will become the first commune in Haiti to receive such a gift. The GIFT of a LIFETIME! 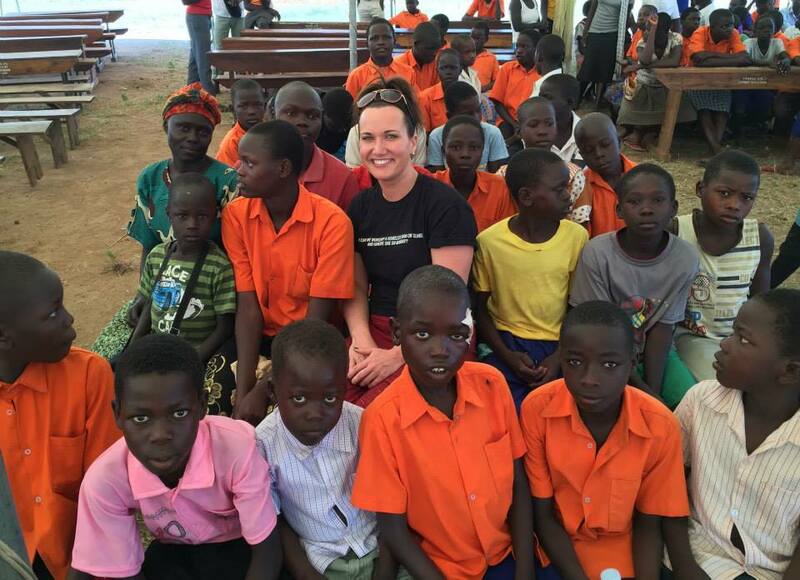 See what Rotary Past VP Jennifer Jones says about it! Our donations should include Rotary Foundation. But did you know of the Iowa-based Rotary Action Group "Club Foot Rotary Action Group"? Your President Elect Training Seminar (PETS) is in Rochester on March 8-10, 2018! This conference equips PEs in District 5970, plus Iowa District 6000 and 2 more districts in Minnesota-Wisconsin! Register now and join many other PE's and District Leaders to prepare you to lead your club. Our District expects all President Elects will attend. Some clubs also send the candidate who follows the President-Elects as President, to attend twice. PETS Conference Registration for PEs is paid by our District. Use code PE5970 at check-out to charge the registration to our District. Be sure to reserve your Hotel. Hotel and travel expense is paid by your club. Three hotels are listed with special NCPETS Seminar rates. Other charges or a non-PE attending... the pay-to is correct: Iowa State University is managing our registrations for Rochester. Inquire to registrations@iastate.edu. Go to www.ncpets.org to register today! 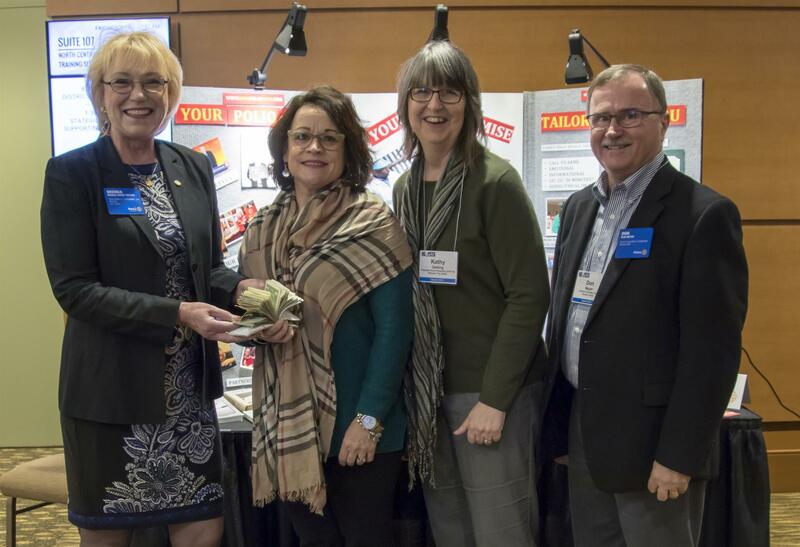 Success in membership growth and retention, foundation fundraising, youth activities and community support earned Rotary District 5970 a prestigious 2016-17 Presidential Citation. Seven Rotary clubs in the district also qualified for the hard-to-achieve recognition. District 5970 's Executive Secretary (DES) is retiring on June 30th 2018. In preparation, we will be hiring a DES to allow time for the new person to learn the job. Please find in the link attached with the job description for this position. If you or someone you know are interested in applying for this position please send a cover letter and resume to District Governor Elect Neil Fell at dg2018@district5970.org. Applications will be open until 10 November at 5:00pm Central Time. Interviews will be held on November 17th in Waterloo, Iowa. To provide day-to-day management of Rotary District 5970 including administrative, information technology; marketing; coordination of quarterly board meetings; support for special events and activities as well as clerical functions in an effective and efficient manner. To assist and support the District Governor, Board of Directors, and members to promote and encourage enhancing Rotary, consistent with Rotary International’s goals and objectives. One Rotary Summit: Strengthen Our Clubs! Learn how to energize your club for growth, service and public interaction. Engage in fresh new thinking. Take home hands-on tools strengthen your club’s membership, public image and involvement in Rotary Foundation programs. Garner, IA| Thursday, Oct. 5, 2017 Garner is cancelled. Refunds will be issued. Presbyterian Church | 475 Maben St. Join us in Marion! Indian Creek Country Club | 2401 Indian Creek Rd. DG Ralph Smith Club Visits! Follow DG Ralph Smith, as he visits various clubs across Iowa this year. His "Club Visit Schedule" is on this Home Page (left side). Join us for a few hours or the entire day on Thursday, August 17 at the Fair! The various meeting times throughout the day are listed in this flyer, to catch up with the group. Don’t forget to wear Rotary attire! At the fair will be Past RI President Ray Klinginsmith with Rotarians from Iowa and northern Missouri Districts 5970, 6000, 6040. 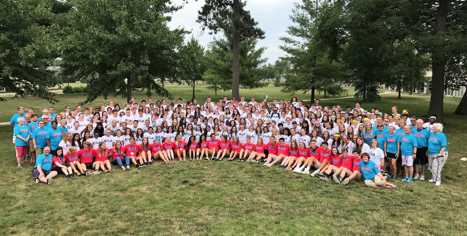 Our 2017 RYLA class experienced the premier Iowa Rotary Youth Program in July. Read the report from OurGrinnell.com for more details! 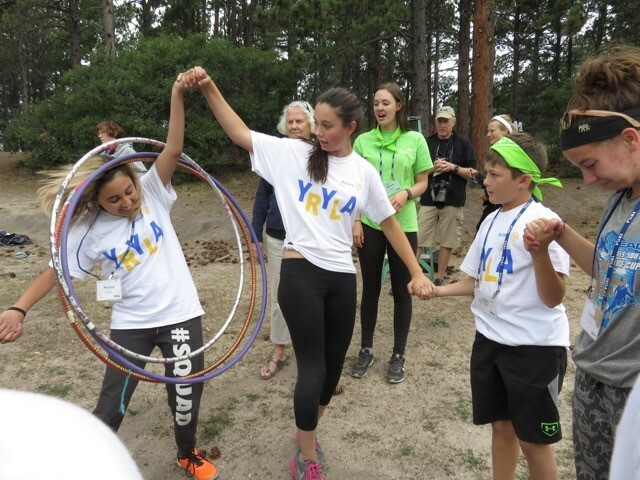 RYLA and YRYLA Next Steps! Clubs, please invite your selected students to a Rotary club meeting before RYLA/YRYLA to introduce them to your members. Invite them back for a second meeting after RYLA/YRYLA so they can tell about their experiences at RYLA/YRYLA. Make sure the students have transportation to and from RYLA/YRYLA. If you would like assistance arranging carpooling from your area, please contact Dave Kutter at Registrar@IowaRYLA.org or (319) 360-7362. Emails will go out to the selected students the first week of June and a second, the first week of July. The second email will include details the students and parents need to know. RYLA calling for adult volunteers! RYLA is held July 16-21, 2017 at Grinnell College. You need no prior experience to help. Download this document to read and respond. 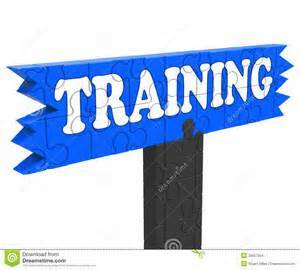 Training is June 24 8-5pm, and July 15. We still need one more Rotarian to volunteer. Help the Dubuque Veterans Freedom Center by golfing at this event! Golf, Dinner, Raffels, Prizes! Register at www.dubuquerotary.org or download the promotional flyer for details. The Pocahontas Rotary Club & the Interact Club (high school Rotary youth group) marked the century milestone of the Rotary Foundation by celebrating with pizza, ice cream & brownies along with a scavenger hunt organized by the Interact advisor, Katie Wilford. Interactors and their Rotary advisors are pictured here. Rotarians Mary and Clifford Clayton explain the Rotary Foundation to the Interact Club members. Click Read More below to see the next page! DGE Ralph Smith is encouraging as many District Rotarians as possible attend this event and give a warm Iowa welcome to RI President-Elect Ian Riseley. 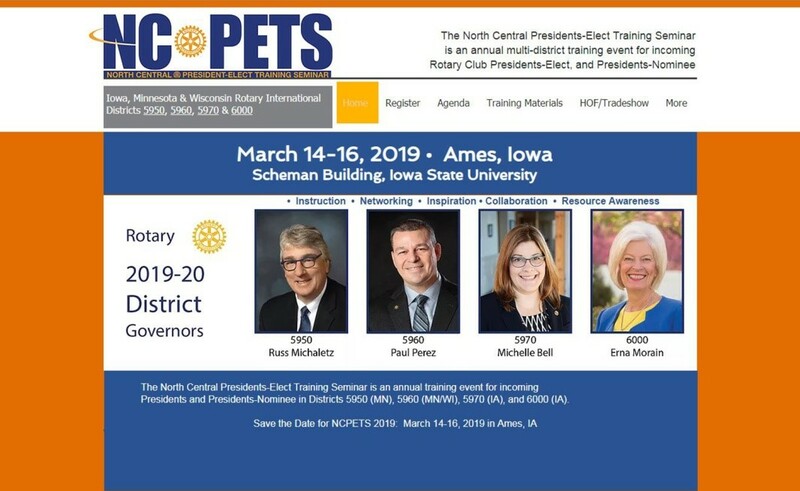 See this information provided by Jacque Andrew, General Chair of the upcoming NCPETS training to be held in Ames, Iowa March 9-11. Spread the word. Seating is limited! The dinner event with Ian Riseley is Friday night March 10. Join our District Foundation team for Grant Management Training. This is required to apply for a Grant. Click here for the District Calendar and select April. Chose one of 2 remaining seminars on April 8 in Webster City. Register as a Guest or Member, for the first-time Seminar, or the re-certification Seminar. Questions? Contact any Foundation Committee member, or Michelle Bell. Reminder: Applications for District Grants are due June 15. Rotary.org has a new look! The public areas (before you login) are new. 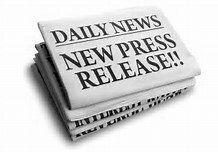 Click on "Read More" to see information from RI President John Germ. All clubs in the district are encouraged to get involved with Youth Exchange by serving as host clubs for incoming youth exchange students. Host clubs are not required to recruit and send a student abroad. The cost to clubs is minimal, and hosting a high school student from another country will be a wonderful experience for your fellow Rotarians and your community. Students arrive in late August, attend your local school and return home in May or June 2018. If your Youth Exchange Committee would like more information on hosting a student starting in August 2017, please contact DG Jim Coloff at 319-231-5003, or jim@coloffmedia.com. He will get you more information on this unique opportunity. Happy New Year. I trust your 2017 is off to a great start. For our clubs in the district, it marks the halway point of the Rotary year. As Rotarians and as clubs, have we completed all we set out to accomplish this Rotary year? Have we celebrated the Rotary Foundation 100th Anniversary with a contribution gift? Many clubs have set records this year for Foundation giving! Kudos to you! Have you been inviting others to join you in Rotary? Many clubs have had an increase in membership. Fantastic! Others want to join us…they are waiting for you to ask. The good news is, we still have plenty of time to act on our Rotary goals. Make your resolution now to share Rotary with others and support the Foundation, and make a difference in your community and the world! Another RYLA is in the works – this one for middle school students and we’re calling it Young RYLA. It came to be after we heard time and again from RYLA graduates, "I wish I’d had this sooner," and "This would be great for my little brother (or sister). So after three years of the planning, we’re ready to open our first YRYLA. Decorah Rotary "5th Thursday Service Projects"
About a year ago we started implementing what we call our "5th Tuesday Service Projects". In every month with 5 Tuesdays, we have an evening meeting which revolves around some type of service project. On November 29, Decorah Rotary made 50 care packages for the 50 service personnel from our local Army reserve unit, currently stationed in Kuwait. These boxes held items such as beef jerky, magazines, movies, nuts and snacks, chewing gum, homemade baked goods, and hand written letters from elementary and middle school children. 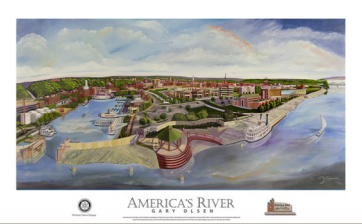 To celebrate the 15th anniversary of Mississippi riverfront development, the Rotary Club of Dubuque commissioned a painting by renowned artist Gary Olson of the Port of Dubuque. The club is selling limited edition and numbered lithograph prints for $79. Proceeds will benefit its Humanitarian Grant Program, which supports area nonprofit organizations dedicated to improving the lives of others and making Dubuque a great place to raise families. Click here to learn more or purchase a print. Rotarians Nancy Anderson and Sara Pinion bring the total number of Assistant District Governors serving District 5970 to 14. Anderson is working with the Iowa Great Lakes, Estherville and Spencer clubs. Pinion serves clubs in Maquoketa, Monticello and Anamosa. 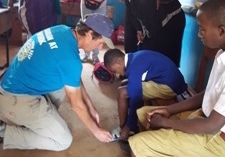 Thanks to an article in The Rotarian magazine, a relationship between the Decorah and Moshi Rotary clubs and the travels of two intrepid Decorah Rotarians, children in Moshi, Tanzania now have sandals that adjust to five sizes and help protect them from soil-transmitted diseases. a primary school student try on new shoes. Club Presidents Webinar—Feb. 25, 5 p.m.
Rotary International designates a special theme for each month, and clubs can use these themes to spearhead programs and activities. 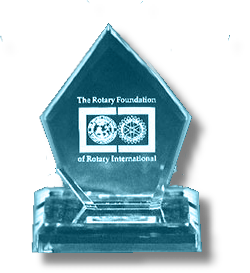 November is Rotary Foundation Month, and December is Disease Prevention and Treatment month. See the complete list of themes. A dozen Rotarians serve as Assistant District Governors in D-5970. District Governor Nominee Neil Fell from the Garner Rotary Club coordinates the work of this group. 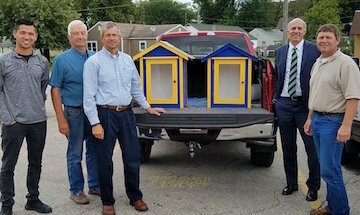 Hampton Rotarians (right) build Little Free Libraries, then deliver the finished products to locations around the community. The Rockwell City Club’s first annual Foundation Golf Outing on Sept. 2 raised more than $600 for the Rotary Foundation. The Spencer Rotary Club purchased and delivered bike racks to the City Rec Department for placement in public areas around the community. 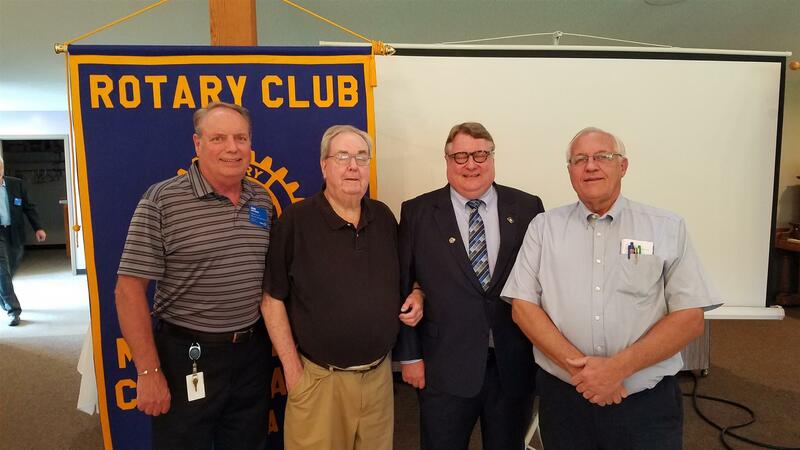 Cedar Rapids West Rotarians (left) gather for a photo with the supply of Trapper Keepers they provided to students in the Cedar Rapids schools. Rotarians in D-5970 have proven once again why they are known as some of the most giving people in America. Nearly 40 percent of our clubs have donated to our Zone 28 Louisiana Flood Relief efforts, raising nearly $4,000 to date. Combined with the other clubs in our Zone, we will provide these funds to the Rotary Clubs in the Baton Rouge & New Orleans area. We can be sure that local Rotarians know best where the money will do the most good. I salute the club presidents who took on this challenge to pass the hat and help out our fellow Americans. You make me especially proud to be your District Governor. Four District 5970 Rotarians will participate in an inaugural Young Professionals Summit, which convenes Sept. 29–Oct. 1 in Cleveland, Ohio. 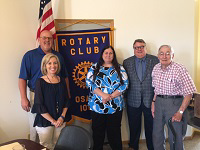 Kesha Billings, Marion East-Cedar Rapids Rotary Club; Whitney Jackley, Cedar Valley Rotary Club; Emily Neuendorf, Waverly Rotary Club; and John Schultz, Mt. Vernon Rotary Club, were among 40 Rotarians under the age of 40 selected for the Summit. District Grants don’t have to be complicated or a lot of work. The Algona Rotary Club’s 2015-2016 Grant is a great example. They purchased a Teacup Merry-Go-Round, a Merry-Go-Cycle and two benches for Algona’s Veteran’s Park. 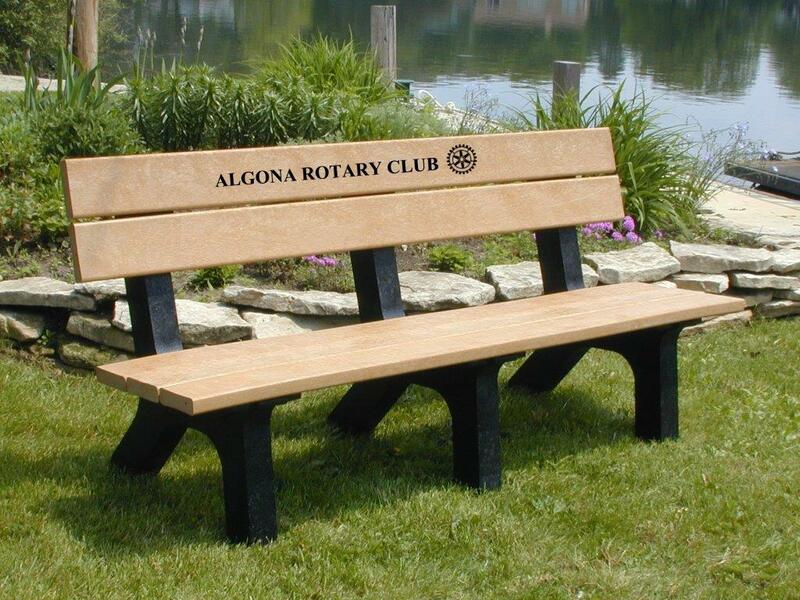 The new benches, shown in this picture, proudly display their club name and the Rotary emblem! Hundreds of children and their parents will visit these benches annually. District Governor Installation - Sign Up Now! 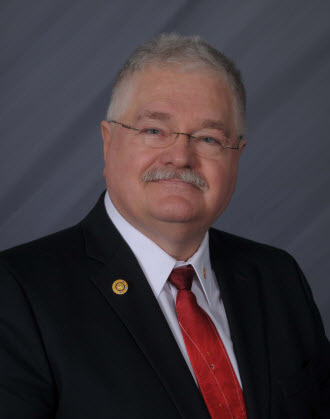 You are encouraged to attend the installation of Jim Coloff as District Governor 2016-17 on Tuesday, June 21st from 5:30pm-8:00pm. The Cedar Falls Rotary Club will host a picnic at Gateway Park in Cedar Falls for the event, including brats, burgers, sides, water, pop, beer and wine. There will also be kids activities so bring the kids and grandkids. Cost is just $10 for dinner. Pre-register at www.rotaryseminars.org now. You can pay for dinner on-line when you register or at the event when you arrive. All district Rotarians and families are invited to attend. We have some very exciting news for you! As you know, the 2017 Rotary International Convention will take place in Atlanta from June 10-14. While every Rotary Convention is an exciting event, 2017 will be extra special because we will be celebrating the 100th Anniversary of The Rotary Foundation. As a matter of fact, it was in Atlanta at the 1917 Rotary Convention, that Rotary President Arch Klumph announced the formation of OUR foundation with the first contribution of $26.50. 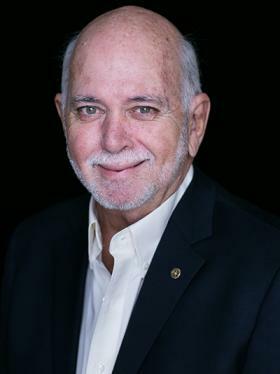 In honor of Arch's birthday on June 6th, and in memory of the first donation, Rotary is offering a special registration fee of $265 - but only from May 28th to June 6th. After June 6th, the registration fee will increase to $340. Registration will be available online at http://www.riconvention.org/en/atlanta. See the attached flyer for more information. We are also planning some travel options by bus and/or air for district Rotarians to travel together. Those details are not ready to share as of yet. However, we encourage you to register now to get this special, low registration rate. Join us in Atlanta in 2017, where we will celebrate "100 Years of Doing Good!" Cedar Rapids Metro North Rotary club sponsored a joint project with cooperating organization Children's Hope Chest to purchase and install 30 computers for Ugandan children using a matching grant from District 5970. The computers are being used to host math and science lectures through the Khan Academy in the Northern Uganda region of Teso. Rotarians on both sides worked to coordinate the purchase and installation of the computers, benefitting the Ugandan people whose main income in the region is farming. Consider becoming a member of the Bequest Society. Promote a better world beyond your lifetime by including The Rotary Foundation’s Endowment Fund in your estate plan. The principal of a gift to the Endowment Fund is never spent, so a portion of the earnings will always be available for Foundation programs. We invite you to join those who have already committed to improve and enrich the lives of people around the globe through a gift to the Endowment Fund. 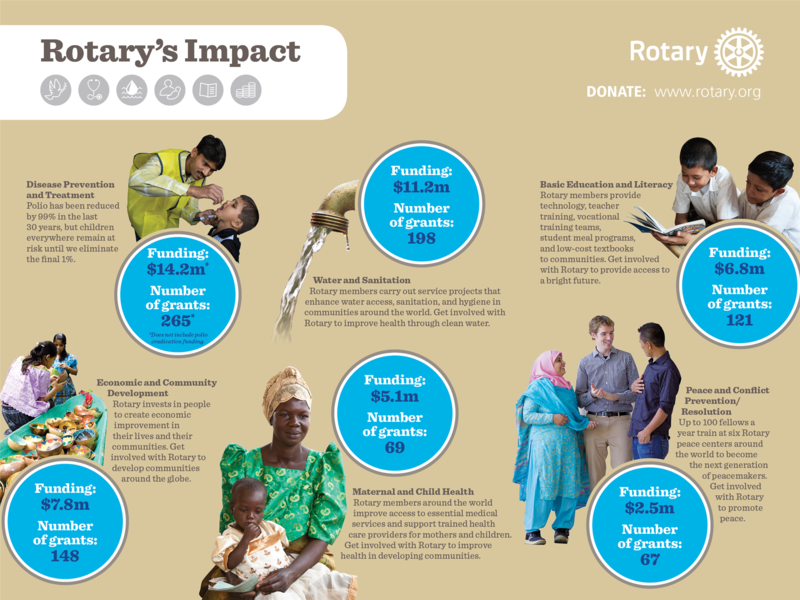 The Rotary Foundation is known for its commitment to effective programs that make a real difference in people’s lives. A gift from your estate to the Endowment Fund can provide ongoing financial support for one or more Rotary service areas, as if you were continuing to make annual contributions in perpetuity. Please contact Don Meyer Fundraising Chairperson for District 5970 for more information at donald.meyer@wartburg.edu or Michelle Bell for more information. 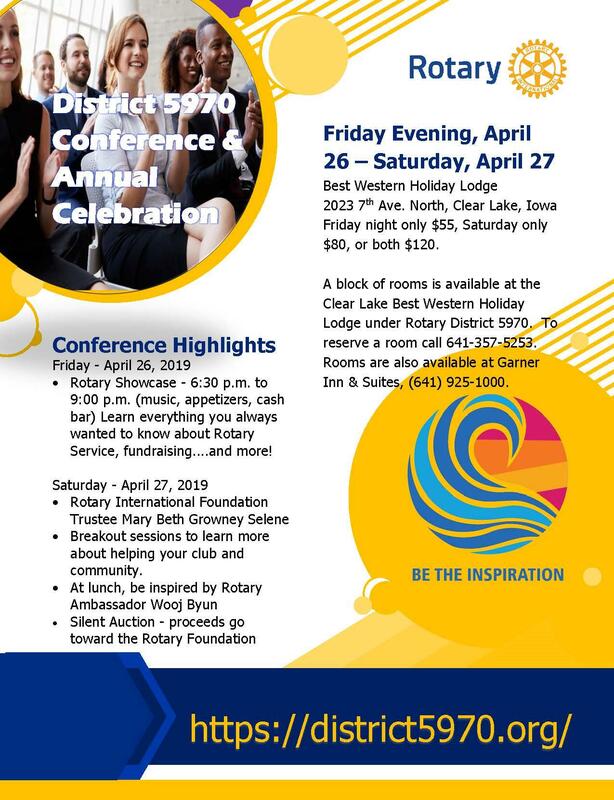 The Rotary Clubs of the Cedar Valley invite you to attend the District 5970 District Celebration, May 6 & 7 in the rejuvenated Waterloo Downtown. The weekend will kick off with a Carnival style atmosphere at the Waterloo Center for the Arts. Register now for our District Celebration by clicking the link below. You may pay by credit card or send in a check. 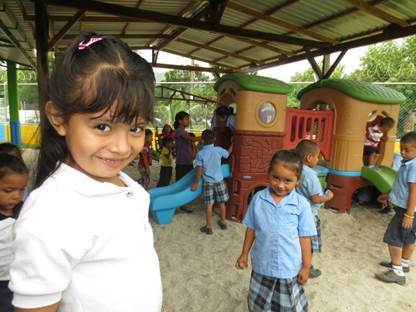 Cedar Rapids Daybreak and Sunrise Clubs have teamed up again to provide Playground Equipment for the 60 or so children attending the Early Childhood Development Center in Las Trincheras, El Salvador. A District Matching Grant helped the clubs fund this $4,000 project, which included the purchase of equipment and construction of a shelter around the playground. The playground is located in the secure, fenced-in Early Childhood Development Center, offering a safe environment with playground equipment that does not exist elsewhere in the community. The excitement and smiles on the children’s faces show the impact. And more projects are in the pipeline. Since 2013, Daybreak and Sunrise have partnered to make an impact in the lives of children in Las Trinceras. So far, their joint efforts have raised $87,000 to assist with school construction, fencing, sanitary bathrooms, planting trees, painting classrooms and installing “water bottle” lights in homes in the community. The clubs have partnered with Cuscatlan Rotary Club in San Salvador for these efforts, and future projects involve a Community Well, and sanitary bathrooms and fencing for the Elementary school. In May 2015, eight Rotarians from both clubs traveled to Las Trincheras to work on projects. This was the second delegation and future trips are planned. On January 21, 2016 the clubs will host the 3rd Wine Tasting fundraiser at Phelan’s Interiors for ongoing projects in Las Trincheras. If you are interested in joining Daybreak/Sunrise for these efforts, or you would like to support the January Fundraiser, please contact Joe Kirby at joe.kirby@lynchfordchevy.com. Cedar Rapids West Rotary served as the primary sponsor once again this year for the Backpacks for Kids program that supports area students. The West Rotary event “Flapjacks for Backpacks”, took place on March 7, 2015. In addition to tickets sold and purchased by club members, a silent auction was held to raise funds. Additionally, the club was able to secure significant corporate sponsorships. When all was said and done, approximately $12,000 was raised in conjunction with the March 7 event. In addition to those funds, the club was also provided with a District Designated grant of $5000 from Rotary District 5970. The total number of backpacks purchased with these funds was 2058. 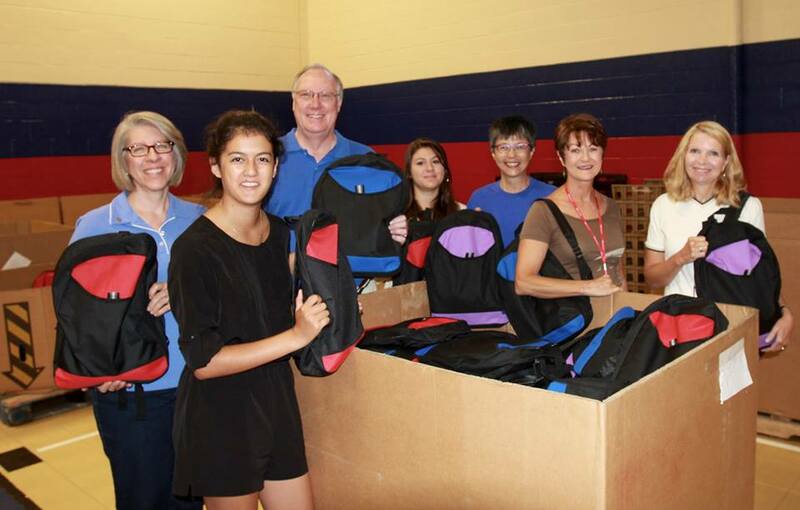 The backpacks/supplies were distributed on August 1 at the local Salvation Army, and students from several area grade schools, middle schools, and high schools benefited. 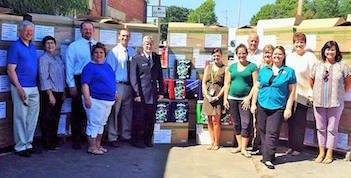 Additionally, $650 in school supplies for the backpacks was provided to Van Buren Elementary. Also, $400 in “Trapper Keeper” school organizers were provided to McKinley Middle School and HD Youth Center. Tanager Place and HD Youth Center also distributed several dozen backpacks. While West Rotary was the main financial sponsor for this backpacks event, the club also received volunteer assistance from the Olivet Neighborhood Mission, Oakhill Jackson Neighborhood Association, Freedom Festival, Friends of Hiawatha, HD Youth Center, Salvation Army, and Tanager Place. My Rotary Training for Clubs - LIVE! Anyone who would like to get familiar with the Rotary International "MY Rotary" website. 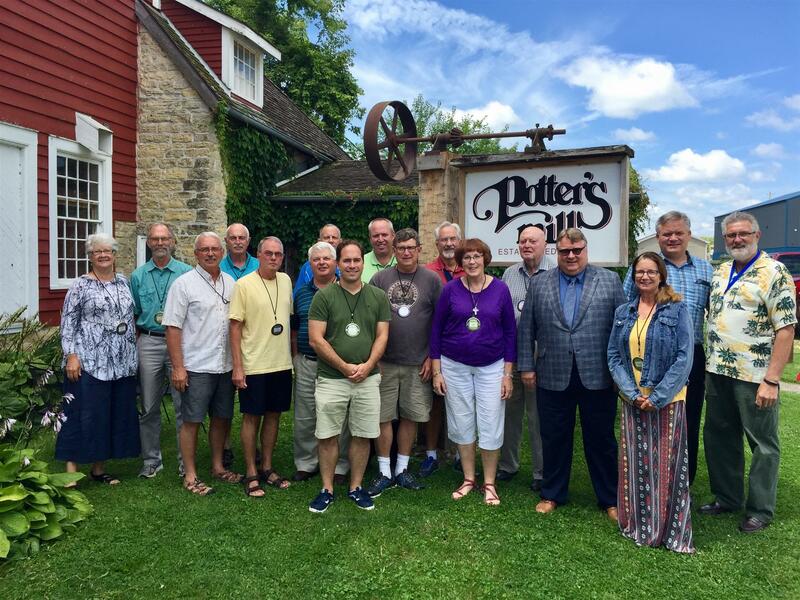 A room full of Rotarians were welcomed by the Cedar Falls Rotary Club Saturday June 27. DGE Joe Gitta was installed as our Governor for 2015-2016. DG Kathy Faye started the evening, reflecting on her year as governor. DG Kathy then led DGE Joe in his oath of office and passed him the District Governor pin. The "Home of the District Governor" banner was passed from Kathy's Iowa Great Lakes club to Joe's Cedar Falls club where it will reside for 2 years. Following Joe as DG is James Coloff, also of the Cedar Falls club. Finally, Past DG Jill Olsen presented DG Kathy with her past DG Governor pin to close the installation. Click "read more" for pictures. Rotarians were invited to move across the street to hear the US Marine Corps Band which began playing immediately after the Rotary event ended! Many thanks for the Cedar Falls club setting up the event. 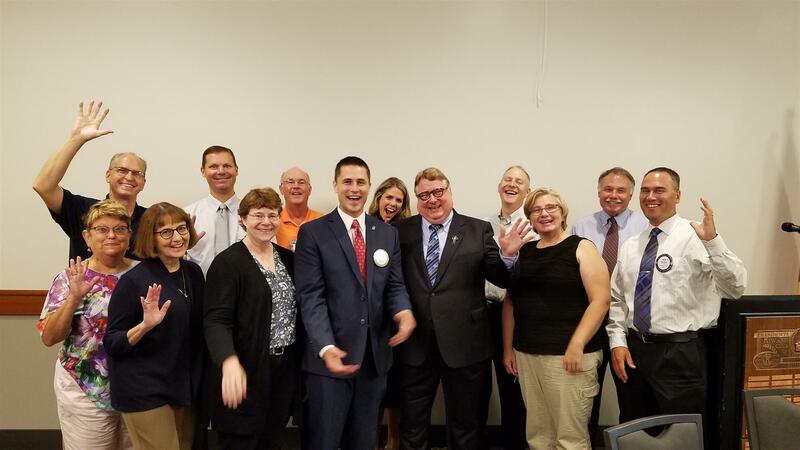 District 5970 Rotarians and Guests: Contribution to this huge Cedar Rapids Daybreak Fundraiser can be made through the "Our Website" link below...The event is July 18. Be sure to clear your calendar on July 18th as the Great Eastern Iowa Duck Race sponsored by Phelan's Interiors returns to Noelridge Park in Cedar Rapids at 2pm on Saturday, July 18th! Visit Our Website for up to the minute race information. Get quackin' and reach out to your favorite Daybreak Rotarian to ensure you've got some ducks in the water today! By Adopting a Duck you are entered into the chance to win some amazing prizes. All proceeds go to help youth organizations including Youthport, the Boys and Girls Clubs of Cedar Rapids, Big Brothers/Big Sisters of Cedar Rapids, the Jon Cushing Sunshine Fund, Kids First Law Center and the ESNA Village Network in El Salvador! With your support the Great Eastern Iowa Duck Race has raised more than $400,000 in just the last 6 years! We currently have 243 applications, 90 from District 5970 and 153 from District 6000 for youth to attend this year's conference. So the numbers are up again this year and we're excited! For more information on the volunteer opportunities, please email District 5970 RYLA Coordinator Dave Kutter. Everyone is welcome to come to Cedar Falls June 27! For details and registration go to our District Calendar. This letter of invitation is to all District 5970 Rotarians to join us in São Paulo. It is not too late to register for our Rotary Convention in São Paulo. If you have not yet registered, please join us for this annual celebration of Rotary with fellowship and fun in Brazil. Make memories with friends old and new, engage with leaders, learn to lead, connect for good, exchange ideas and meet people from your district and from half a world away! Attached please find our final Zones 28-29 Rotary International Convention São Paulo Newsletter. Online registration is available on the convention website at http://www.riconvention.org/en/2015/Pages/ridefault.aspx. If you have registered for the convention, please also join us for Friday Night Lights June 5 with your fellow Rotarians from Zones 28 and 29, http://tinyurl.com/2829fridaynight. All Rotarian golfers – head to Mason City for the District Golf Outing! See details and Registration on the District website Calendar Event. CLICK HERE. A limited number of carts are available. Call 641-423-9693 to reserve. For the Registration Form> CLICK HERE. District 5970 not only has an updated website, but we are also now on Facebook. Like our page to see what is going on in the district and let us know if you have a club page and we'll like yours as well to allow Rotarians to see what is all happening with your club too. Facebook is a great way to share the story of Rotary with your non-Rotarian friends to spread of the word of the good we are doing in the world. Click here for the District Website and click here to visit the District Facebook Page. February 23 Marks 110 Years of Rotary! February 23 marks the 110th anniversary of Rotary. This year also marks 30 years since Rotary launched its campaign to rid the world of polio. How will you celebrate 30 years of PolioPlus? Plan now to share and celebrate with your club next week! District 5970 Sponsors Its First Peace Fellow! 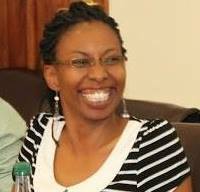 Regina Mutiru Peter, 30, of Nairobi, Kenya has become the first District 5970 Rotary Peace Fellow. Regina was awarded a fellowship to the University of Bradford (England where she will study African Peace and Conflict Studies). This course explores the nature, dynamics and complexity of the links between peace, conflict, security, development, and democratization in Africa, with a focus on cross‐cutting thematic issues including armed conflict, poverty and underdevelopment, HIV/AIDS, resources and terrorism, among others. These issues are all pertinent to her country. Click here to learn more. Congratulations Regina! 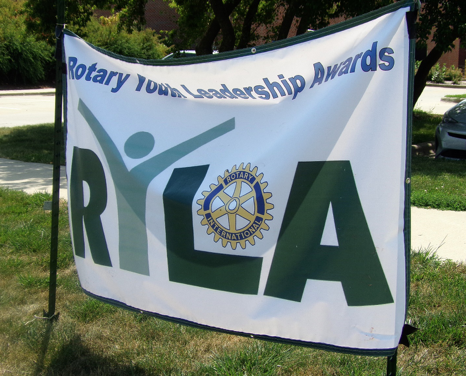 Deadlines are quickly approaching for students to apply for RYLA (Rotary Youth Leadership Awards). If you have students interested, please have them completed the Student Application Process (New Online Application) which is now available at www.iowaryla.org. Clubs should note that March 15 is the deadline for clubs to send in registration fee ($400 per student) to reserve slots for the number of students they plan to sponsor this summer (RYLA will be held July 26-31, 2015.) The Rotarian Volunteer Application has also been posted on the RYLA website - if you or someone you know would make a good Rotarian Volunteer at RYLA, please consider applying. It is a fun, rewarding, exciting, life changing experience for Rotarians as well as the conferees. That’s why Rotarians keep coming back. Dates for volunteers include a June 20 training and then July 25-31 for the conference. Applications for volunteering are due April 30. ​Visit www.iowaryla.org for additional information. The biggest news was the $101 million pledged to polio eradication. Australian Prime Minister Tony Abbottopened the convention on 1 June with a commitment from his government of $100 million to the PolioPlus campaign. Two days later, Sir Emeka Offor, executive vice chair of Chrome Group, announced a $1 million gift to The Rotary Foundation to help end polio.